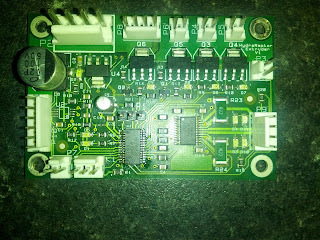 The micro in this design is a 28 pin TSSOP package and this is a bit hard to remove without resorting to scalpels. But my mate Dave has access to 22,000UKP worth of SMD rework station. 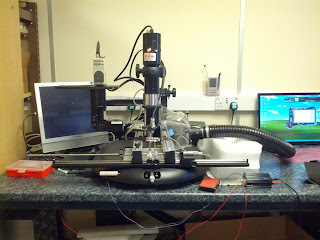 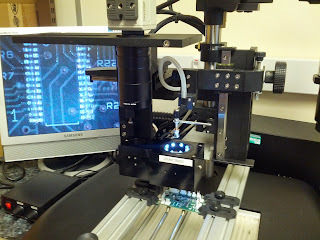 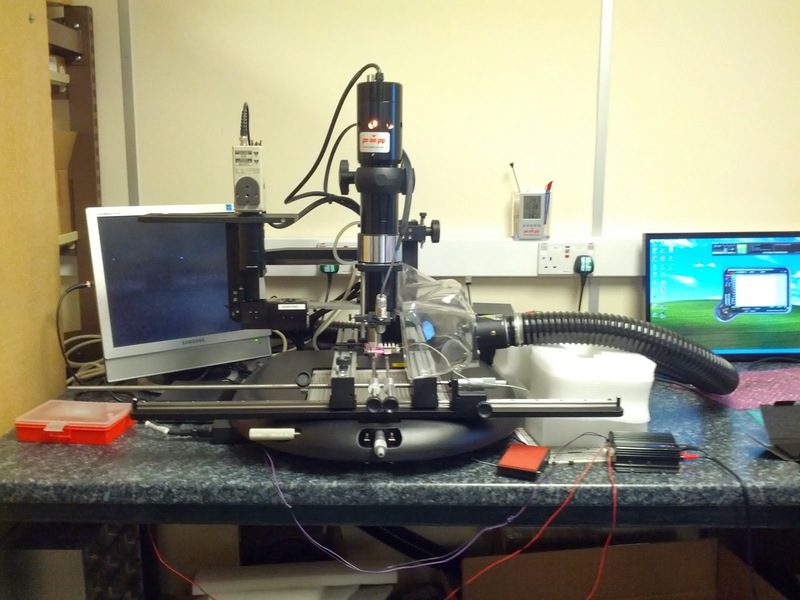 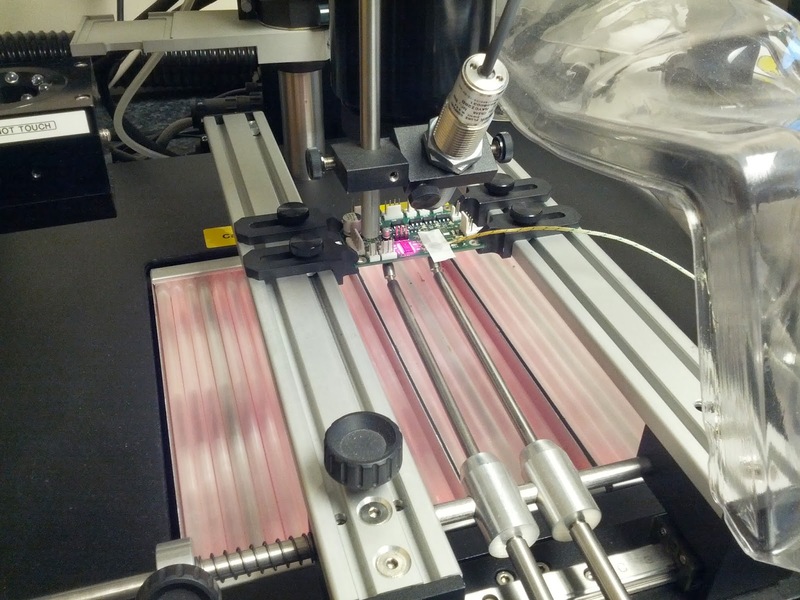 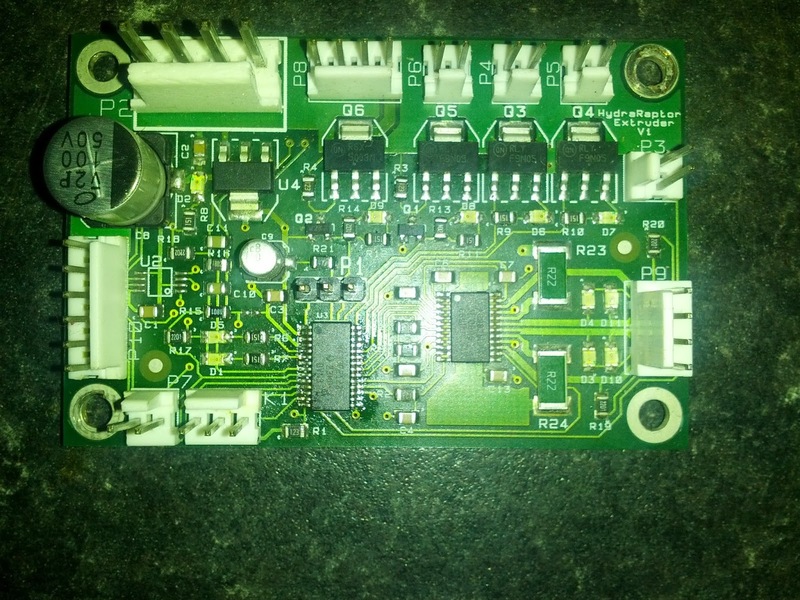 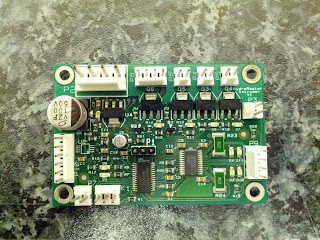 The SMD rework machine has a CCTV camera and a prism to allow the chip and the PCB pads to be aligned. A light source can be faded upwards or downwards to illuminate the PCB or the underside of the chip to be placed. 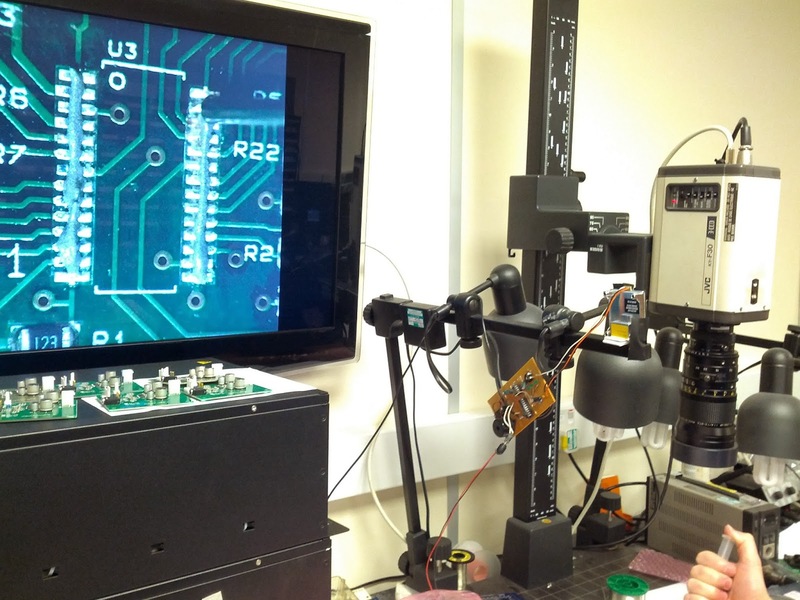 By fading between the chip and the PCB pads the chip can be accurately aligned. A vacuum holds the chip on a manipulator, and the chip is lowered onto the pads, and the vacuum released to free the chip.